Ensign Alora Deveau, a human is the science officer aboard the USS Mercury, which is her first assignment after graduating from the Academy. 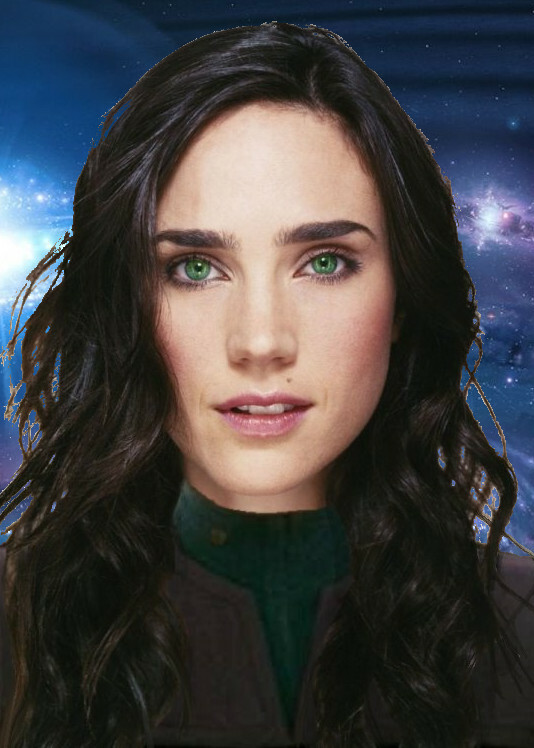 She is recognisable by her striking green eyes and her brown hair has red highlights to it. She has learned several languages including English, French, Japanese, Vulcan, Betazoid, Klingon and Cardassian. Since joining the crew she has been kept busy. Among some of the duties she has been given, she has worked with one of the medical officers, Kotir Arith to work out what or rather who a DNA sample they were working on is from. She later visited Saveron in the ship’s brig for some insights into the DNA sample’s origins. Alora comes from a large family and has four older brothers. Her whole family was talented in some way musically but she had a particular talent for it and performed as one of the daughters in the opera “Werther” when she was just five years old. Other related interests included singing, dancing, piano and guitar lessons. When she was older and her family had moved to Japan she discovered a new hobby – Aikido and eventually became a third degree blackbelt. Whilst she doesn’t consider herself particularly brave she won’t abandon her post. She usually tries to find the best in people and has a down to earth nature. She is usually quite informal unless the situation calls for it and although she has a temper she usually tries to keep it under control. It is these traits and the focus she displays in the search for answers that makes her an excellent officer. 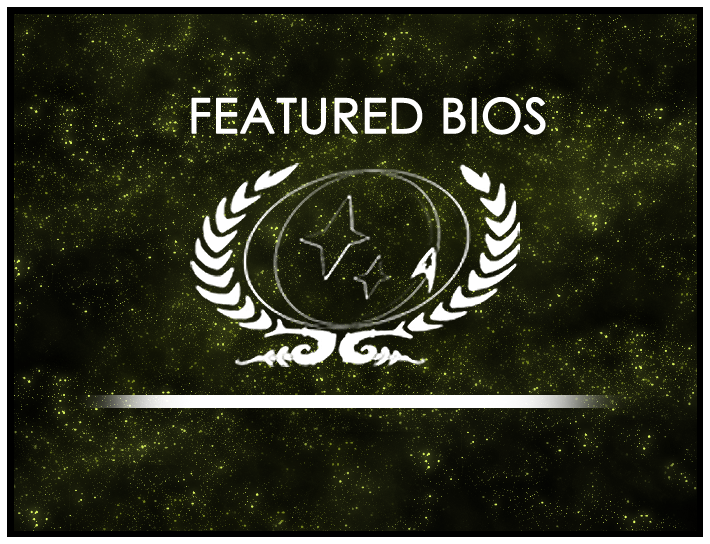 Ensign Alora DeVeau’s bio will be displayed on the wiki’s front page for the month of July. As always, you can find out more about the contest at its wiki page or in its forum. Round 17 is now open, so be sure to drop by and submit your own nominations!